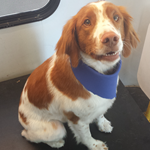 Mobile grooming appointments offer great advantages for you and your little ones! 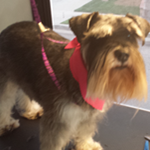 Yes, the cost is higher than you may pay in traditional grooming salons where many dogs are worked on at once, but many dogs and their owners prefer the conveniences and comfort of mobile grooming. 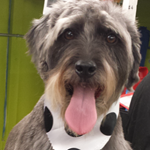 One-on-one attention – your dog is never out of the groomer’s sight. 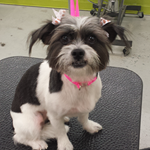 No other dogs present to stress out your little one – no chorus of barking or behaviorally-challenged dogs to contend with. No cage dryers!! All of our drying is done by hand. 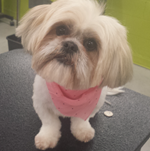 No waiting time for your pup – he or she won’t be placed in a cage waiting for their turn on the table or in the tub. No car rides for you or your dog.